Dean started his career as a trainee at Notts County but failed to break into the first team on a regular basis. He went out on loan to Spalding United in December 1999 until the end of the season when he was released. He joined Crewe Alexandra in the summer of 2000 but went out on loan again, this time to Rochdale before being released again in the summer of 2001. He went on to play for Southport, Morecambe and Halifax Town, before joining Colchester United in August 2005, but was released before the end of the season, re-joining Halifax Town. After spells at Weymouth and Grays Athletic, Garry Hill brought him to Nene Park, signing a one year deal on 1 August 2007. Playing as a left wing back, he played in all but three Conference games during the 2007/2008 season, scoring once – against Torquay United early in the season. 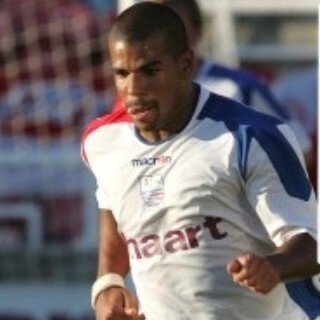 Dean left Nene Park on 13 May 2008 to join the newly promoted Aldershot Town on their return to the Football League. He was released by Aldershot in May 2010 and on 22 July 2010, signed for Crawley Town. He signed an 18 month contract extension in January 2011, and helped them gain two successive promotions to League One, but was released in May 2012. On 26 May 2012, Dean signed for newly promoted League Two side Fleetwood Town on a two year deal. On 5 November 2013, Dean went on a two month loan deal to League Two strugglers Bury. He was released by Fleetwood at the end of his contract in 2014.